Alex has big plans for camp this year, starting with making it the best summer ever. 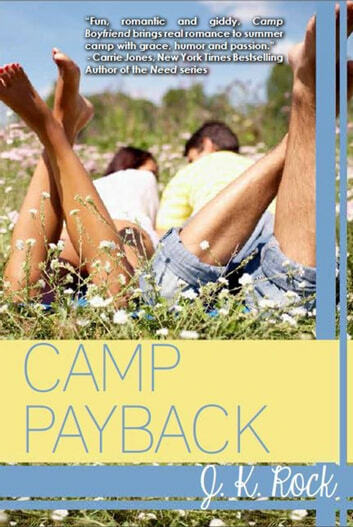 Having fun and breaking some rules will get her the payback she wants against her parents and her ex-boyfriend. Because of his disgusting texts, she's headed to a super strict all-girls school in the fall.? Then she meets Javier and?revenge doesn't seem nearly as important as getting to know the troubled loner determined to keep a low profile at camp. But Alex's trouble-magnet personality and Javier's need to stay in the background don't mix nearly as well as their irresistible chemistry. With her home life eroding under her feet and her last year of summer camp speeding to a close, Alex wants to make her mark on the world and squeeze every bit of fun out of her time with Javier. Too bad her old plans for revenge turn back on her just in time to ruin everything. Will she lose Javier too?